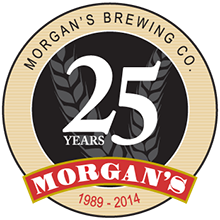 Morgan’s Brewing Company Pty Ltd are bound by, and committed to supporting, the Australian Privacy Principles (“APPs”) and the credit reporting provisions contained in the Privacy Act 1988 (Cth) (“Privacy Act”). The Privacy Act (and this policy) does not apply in respect of information contained in employee records where the collection, use or disclosure of such information is directly related to a current or former employment relationship between us and an employee. “Personal information” means information or an opinion recorded about an identified individual, or an individual who is reasonably identifiable, in any form whether true or not. Without limitation, “Personal information” includes sensitive information, credit information and credit eligibility information. “Sensitive information” means information or an opinion about an individual’s race or ethnic origin; political opinions; membership of a political association; religious beliefs or affiliations; philosophical beliefs; membership of a professional or trade association; membership of a trade union; sexual orientation or practices; criminal record; or information about the health or disability of an individual. We may collect personal information about customers, job applicants, contractors, staff members, suppliers, and other people who come in The type of personal information we collect includes, but may not be limited to, information such as your name and address, telephone contact details, e-mail address, credit or debit card details, and, when you use our website,information on what pages you access.contact with us (“you”). If we provide you (or an entity related to you) with credit, we may also collect and hold credit information and credit eligibility information about you. Without limitation, this may include credit reports, identification information, details of amounts payable to us and whether payments are made to us as and when they are due. Occasionally we may collect personal information about you from third parties. For example, we may collect credit eligibility information about you from credit reporting bodies (CRBs) or other credit providers if we provide you (or an entity related to you) with credit. If we are unable to collect personal information relating to you, we may be unable to provide you or an entity related to you with the credit, goods or services that are required or continue our relationship with you or an entity related to you. We will not disclose your sensitive information to any other party without your consent. While we will endeavour to ensure that personal information collected about you is up to date, accurate and complete, we will assume that any personal information provided by you is free from errors and omissions. You may request that we update or vary personal information that we hold about you using the contact details set out below. •	other entities with your consent or as permitted or required by law. If you fail to make a payment to us as and when due or commit a serious credit infringement we may disclose details of such events to CRBs. A CRB may use such information in reports given to other credit providers to help assess your credit worthiness. The CRBs we deal with include Experian Information Solutions (http://www.experian.com.au/) Veda Advantage (http://www.veda.com.au/)and Dun and Bradstreet (http://dnb.com.au/). Copies of their privacy policies dealing with how they manage credit-related personal information can be found on their websites. You have certain rights to request that CRBs do not use credit reporting information about you if you believe on reasonable grounds you have been or are likely to be a victim of fraud. If you would like to make such a request please contact the above CRBs direct. If requested by us, a CRB may use credit reporting information about you to assess whether you may be eligible to receive direct marketing communications from us (i.e. pre-screening). You have the right to request that CRBs do not use credit reporting information about you for this purpose. If you would like to make such a request please contact the above CRBs direct. 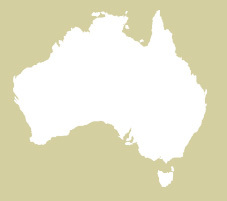 PO Box 4193, Loganholme DC Qld 4129.